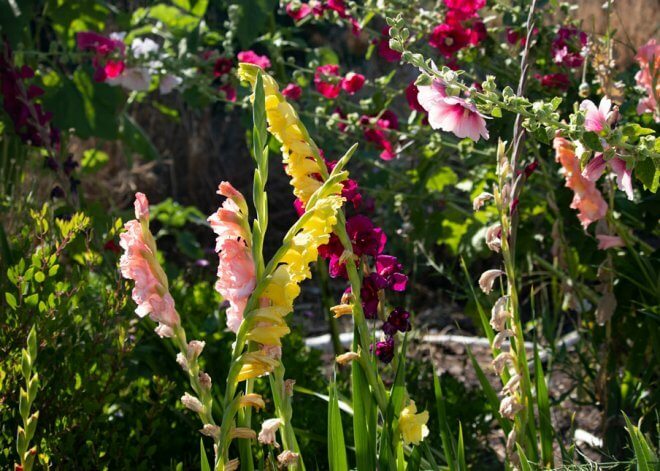 Many of the flowers on the above list can be easily grown from seed. 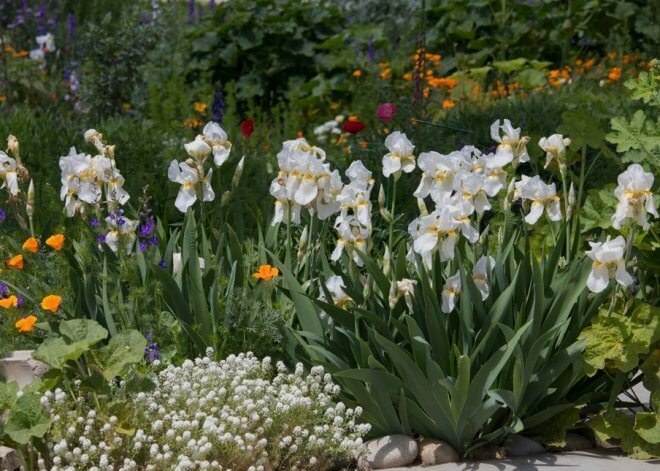 In fact, many of them grow best from direct sown seeds. 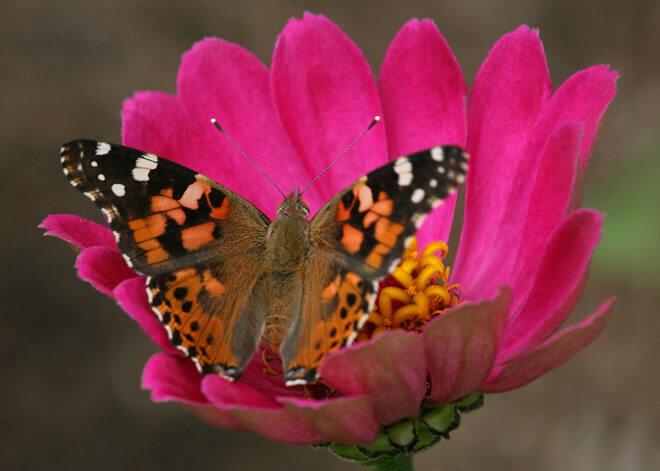 In addition to flowers, be sure to include a water source for butterflies and other pollinators. I’m in a hot and dry region, so dew doesn’t last long in the morning. Shallow dishes with pea pebbles and a little water offer a quick drink in the garden. 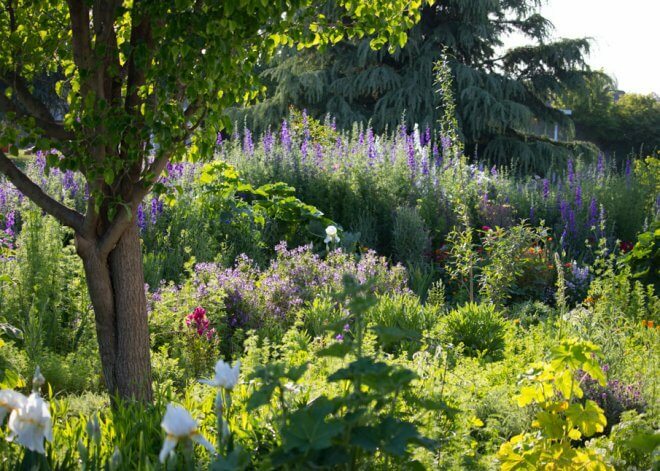 There are two main types of plants you’ll want to include in your garden: nectar plants for butterflies and caterpillar food plants (like milkweed, dill or parsley). To attract a lot of butterflies, keep in mind they like diversity and you can’t go wrong with flowers that are native to your region. Go with what you love, but be sure to include milkweed as it’s the only host plant for Monarch butterflies. They will only lay their eggs on milkweed and their caterpillars only eat milkweed plants. Be sure to include milkweed that is native to your area. I have both narrow leaf milkweed (Asclepias fascicularis) and showy milkweed (Asclepias speciosa) in my yard and aspire to sow more native varieties. 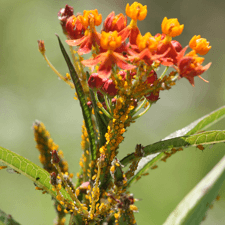 You may have seen warnings about why you shouldn’t grow tropical milkweed in your garden. It’s mainly due to research showing that Monarchs breeding on tropical milkweed in the winter have higher rates of protozoan infection. Does that mean that you shouldn’t have any tropical milkweed in your yard? From what I’ve read, not necessarily. It depends where you live. In my area, tropical milkweed freezes to the ground each winter so it doesn’t pose a problem. But in warmer areas like Southern California, tropical milkweed should be cut to the ground in the winter to minimize the risk to Monarch butterflies. To make it easier to find milkweed that is native to your region, check out Xerces Society Milkweed Seed Finder. I have found that milkweed reseeds very easily, so once you have it in your garden, you will have volunteers year after year to attract more butterflies to your blossoms. Most importantly, remember that pesticides kill more than pests. They also harm butterflies, so you’ll get best results from no pesticide usage in the garden. If you’re buying plants from a garden center, ask if they have been treated with pesticides. To control pests, consider instead bringing in extra ladybugs, lacewings and other beneficial insects. The adjacent photo shows milkweed loaded with aphids. They’re essential to the pollinator ecosystem. Syrphid flies pollinate my flowers and their larvae feeds on the aphids. They keep the aphids in check and the milkweed is no worse for it. With milkweed in the garden, the aphids are uninterested in any other plants in the garden which is a wonderful bonus. My roses are pretty happy about it.